I have suffered with anxiety for over 30 years when my brother died of cancer when he was just 20 months old. My anxiety, self-loathing, and depression came to a head four years ago when I was the victim of an armed robbery. I have broken free after a long period of struggle. I don’t want you to feel like I did: broken, lost, full of self-hatred, and unable to see a way out. My pain and suffering can help you see a very bright future. That’s what you can have! 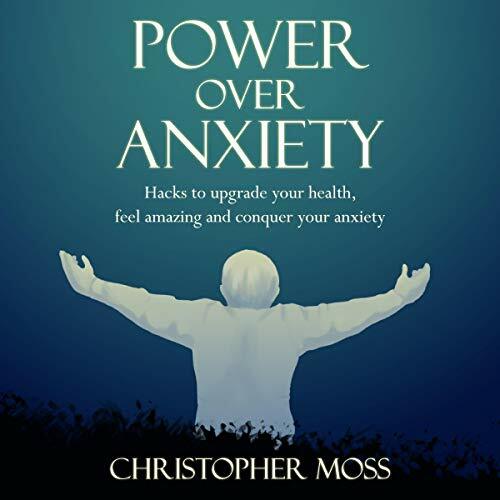 Power over Anxiety gives you the tools and skills to supercharge your body and mind to feel the best you have ever felt. It has awesome hacks to conquer anxiety with a seven-day plan at the end. How to fail and love it! Super-foods that will reduce your anxiety and feel great! Don’t feel there isn’t a way out of your soul-destroying life. Don’t let your life pass you by. Let me guide you to a life full of possibilities!